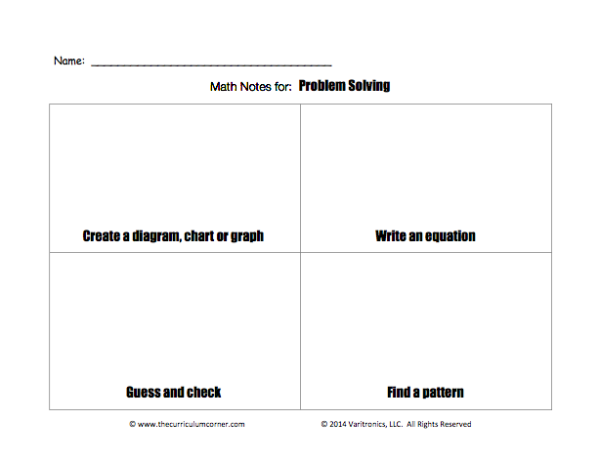 Copy the “Math Notes for Problem Solving” page for each child in the classroom. You may choose to three-hole-punch this page for use in a Math Notes binder/folder to be kept by students and referred to throughout the year. Ask students what a “strategy” is. Accept several answers and then lead the class to the conclusion that a strategy is a plan to reach a goal. Next, ask the students how strategies might apply in math. Display the anchor chart titled “Problem Solving Strategies” for the students. 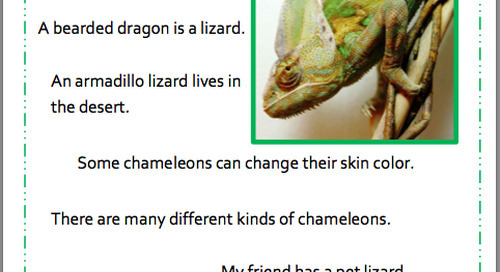 Review the strategies and remind students that these are some ways that they can use to solve all kinds of different math problems. 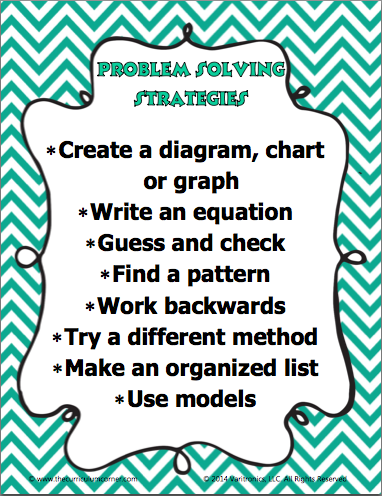 Pass out “Math Notes for Problem Solving” to each student and explain that this page is a place for them to write down some notes that will help them to remember what each strategy is and how to use it. 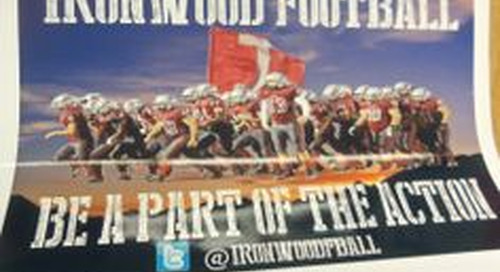 They will keep this in their math binder/folder and can pull it out as a reminder when needed.